Portland, Oregon and New York City are both thriving cultural centers and major hubs for many artists who have cultivated a meaningful presence across numerous cities, and guitarist Ryan Meagher’s forthcoming release, “Tango in the City of Roses,” is a great showcase of this increasingly globalized yet coherent music community. Meagher was born and raised in Central California’s San Jose Bay Area, studied in San Diego and Reno, where he earned a Masters Degree in Music, lived and worked for many years in New York City alongside modern day greats Mark Ferber, Shane Endsley, and others, and at last landed about a year ago here in Portland, Oregon, where he immediately began setting down roots in the jazz and creative music community. Upon his arrival in Portland, Meagher ran a weekly “jazz composers’ jam” at Tapalaya in NE Portland, featuring original music and a supportive environment for cutting edge composers and improvisers. This was a great forum for Meagher’s introduction to the Portland music community, and he quickly began to gig around town with a wide array of Portland’s great improvising musicians. Starting this fall, Meagher will hold the guitar chair in the Portland Jazz Composers’ Ensemble, the non-profit presenting agency and large ensemble which operates PJCE Records. In seemingly record time, Meagher has become an integral member of Portland’s forward thinking jazz and creative music scene. 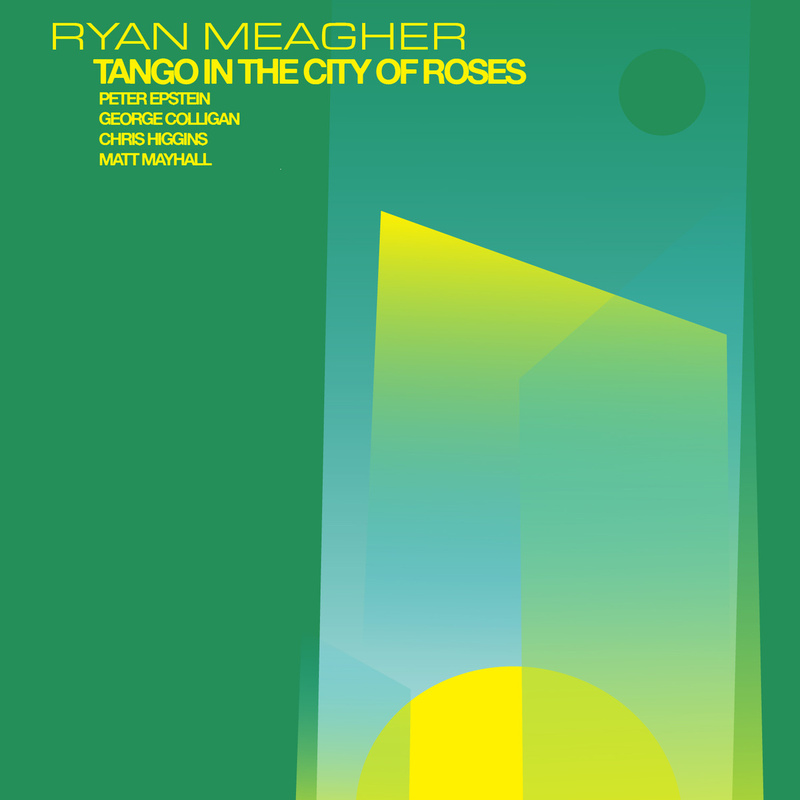 While Meagher’s past two records have been studio recordings featuring what he calls “modern jazz for the indie rocker,” “Tango in the City of Roses” is somewhat of a departure musically and in terms of format. Meagher’s new album is a live recording captured at Ivories Jazz Lounge in NW Portland. The group features a powerful ensemble whose backgrounds have all intersected at various points. Four of the five band members have lived in New York City and have strong ties to Portland. Internationally renowned pianist George Colligan recently moved to Portland from New York, and has been the recipient of numerous awards and honors, receiving the Chamber Music America grant, teaching at Portland State University and touring with Jack Dejohnette in recent years. Bassist Chris Higgins also moved recently to Portland from New York and has quickly risen through the ranks here in the northwest. Saxophonist Peter Epstein was born and raised in Portland, has lived and worked extensively in New York City, and currently teaches at the University of Reno, where Ryan receive his masters degree. Drummer Matt Mayhall, who works with Charlie Haden’s son Josh Haden in the internationally touring group “Spain,” has also worked extensively with Ryan and Peter in the past and currently lives in Reno. And Ryan, of course, has lived and worked in all of these places as well. The convergence of all of these accomplished musicians from different cities on the same live recording is an exciting opportunity for Meagher and for PJCE Records as well. Ryan Meagher endorses Dean Markley Strings and Tech 21 Effects. Thanks to Andrew Oliver, Dan Duval, the PJCE Board, Patrick Springer, Jim Templeton, Ivories Jazz Lounge, the band, and all of the family, friends, and fans whose continued support keeps me going.